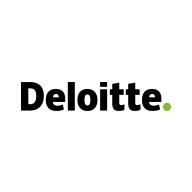 · A Specialist Senior at Deloitte works within an engagement team and is responsible for identifying business requirements, requirements management, functional design, prototyping, process design (including scenario design, flow mapping), testing, training, defining support procedures, leading work streams and supporting implementations. · Two+ years consulting and/or Quote to- Contract (CPQ/ CLM) implementation experience. Experience managing at least two large-scale full-life cycle implementations of Quote to- Contract (CPQ/ CLM) solutions, including ownership of the technical solution, management of the overall team and ownership and management of project financials.